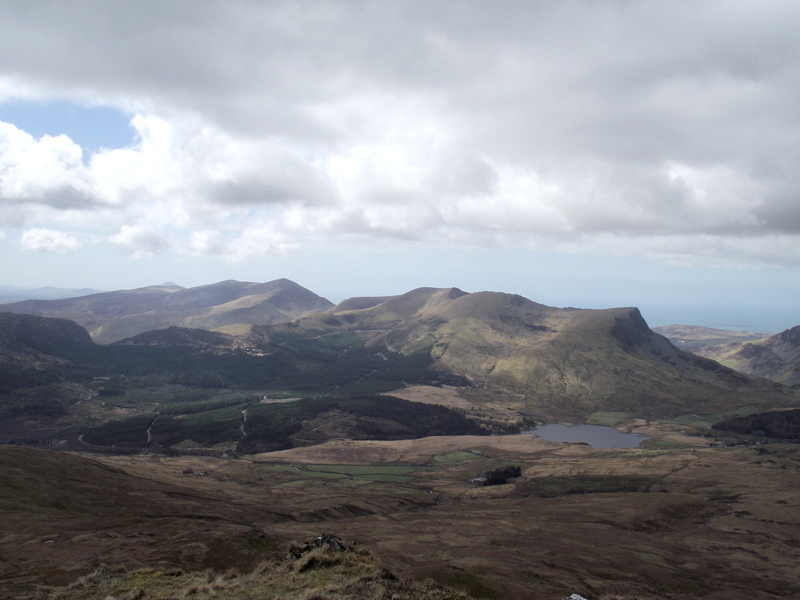 Standing at a height of 747 metres, and surrounded by higher neighbours, Yr Aran is a much neglected little mountain. 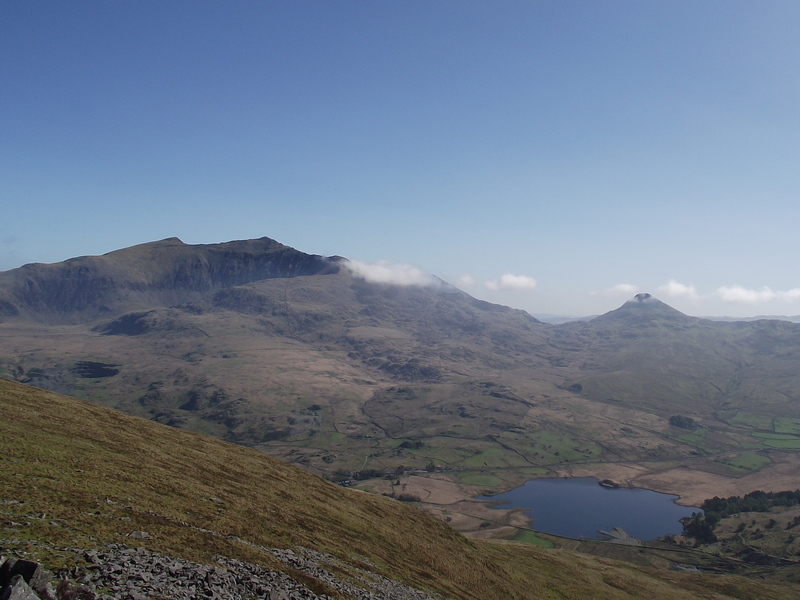 Being almost literally in the shadow of the highest UK mountain outside Scotland is not a good career move for a mountain aiming for a place in the popularity stakes, and it’s Yr Wyddfa (Snowdon) that grabs all the attention. 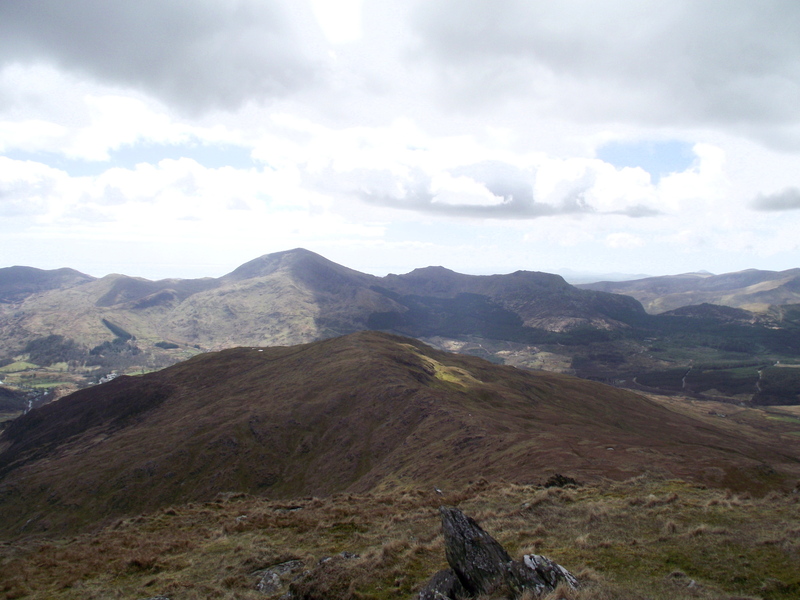 The plus side is that the small summit of Yr Aran is almost always empty, giving grandstand views of many of the more popular mountains of Snowdonia. Yr Aran is a well kept secret, and even a bit of exposure in this blog isn’t going to change that, which is fine with me! 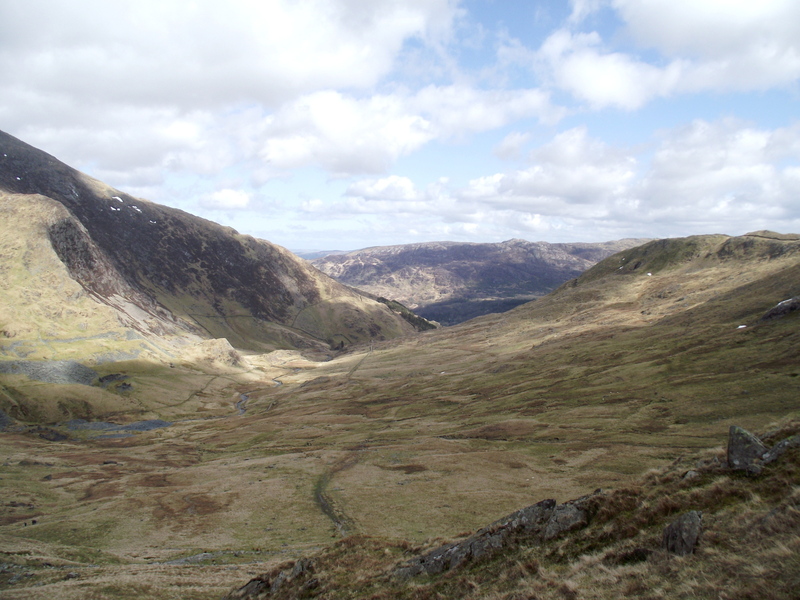 The Watkin Path from Nantgwynant is one of the popular routes to the summit of Yr Wyddfa, but it also makes a fine approach route to Yr Aran. 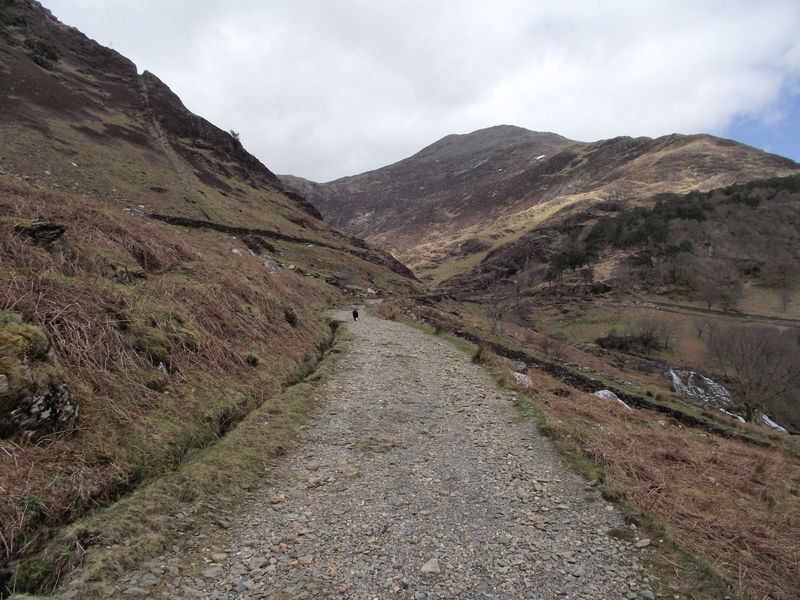 A woodland path opens out into a track with a fine set of waterfalls, and the route has a vague feeling of being in much higher mountains, so much so that it was chosen as a location for the film “Carry on up the Khyber” – even the first view of Yr Wyddfa looks almost Himalayan in Character. 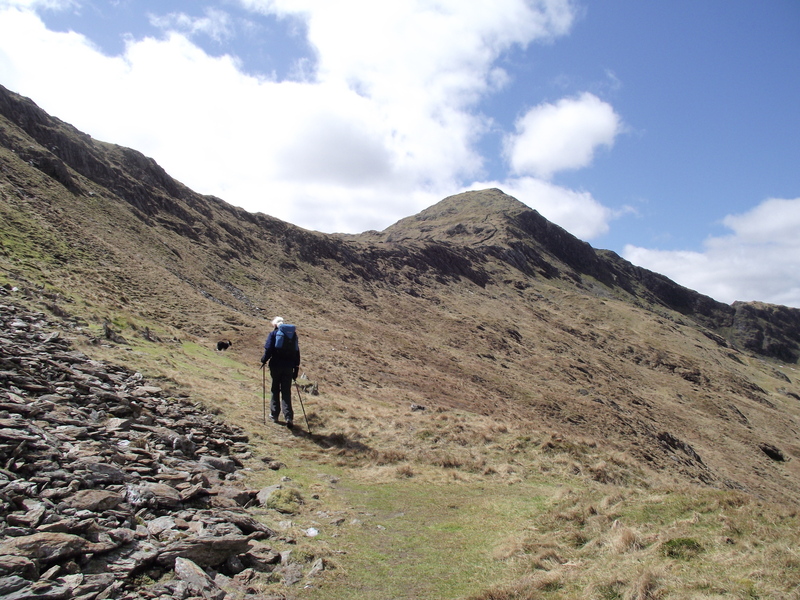 The broad East Ridge, leading straight to the summit of Yr Aran. 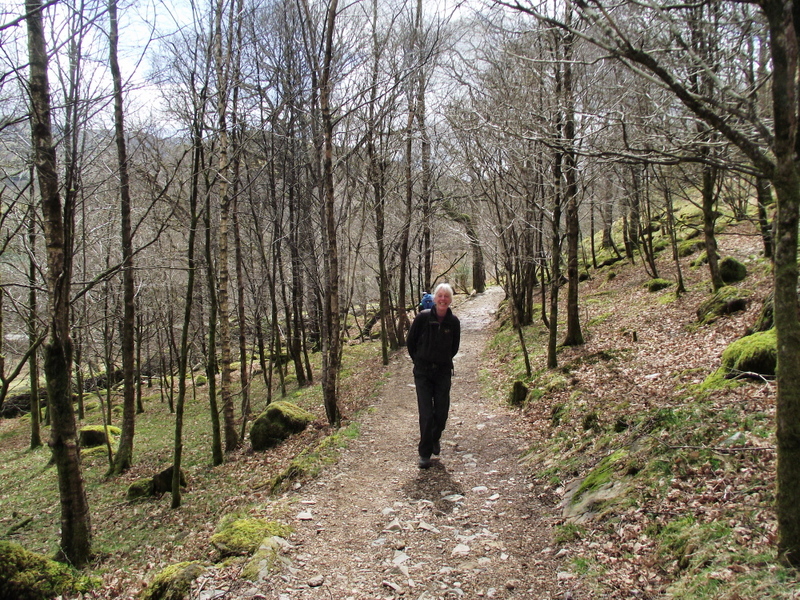 Many of those toiling up towards Yr Wyddfa do not notice the less-frequented path heading up through the remains of long abandoned mines and quarries. 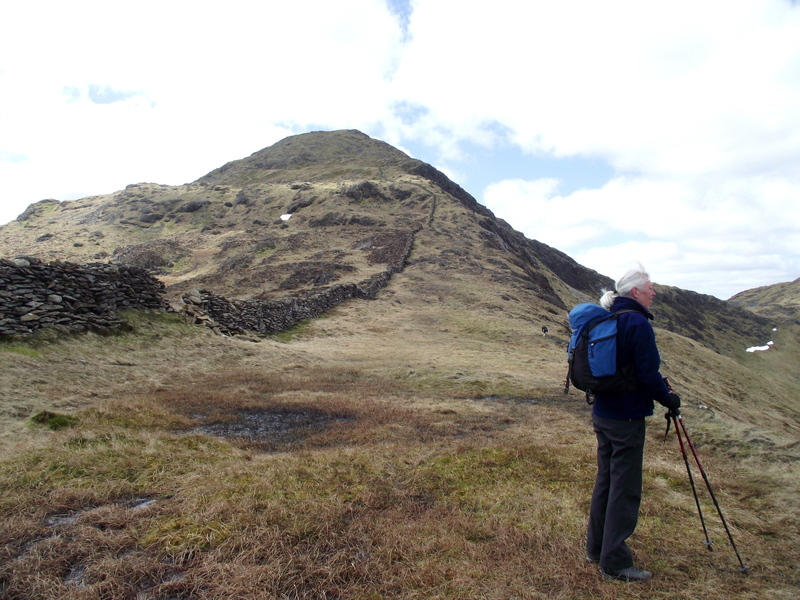 These remains of old industries are soon left behind as the route strikes out for the East Ridge of Yr Aran. 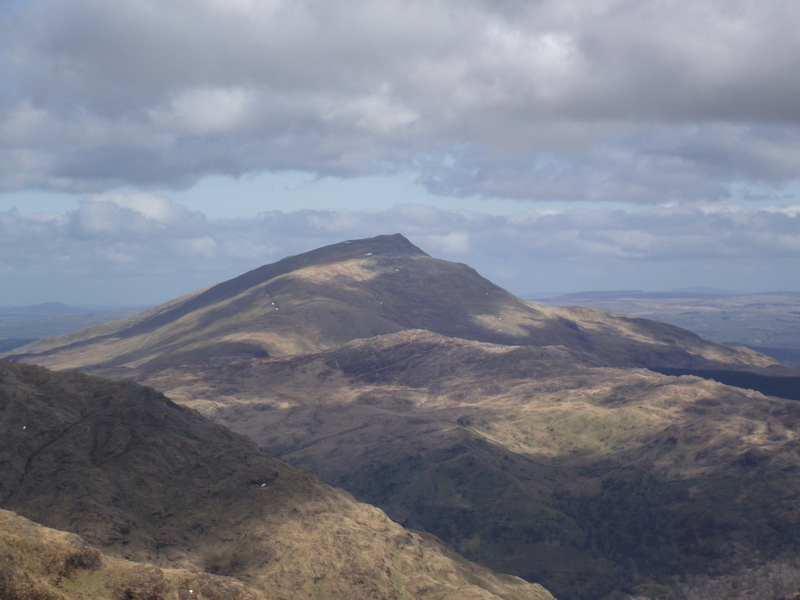 The summit is surprisingly small, but the views are extensive. 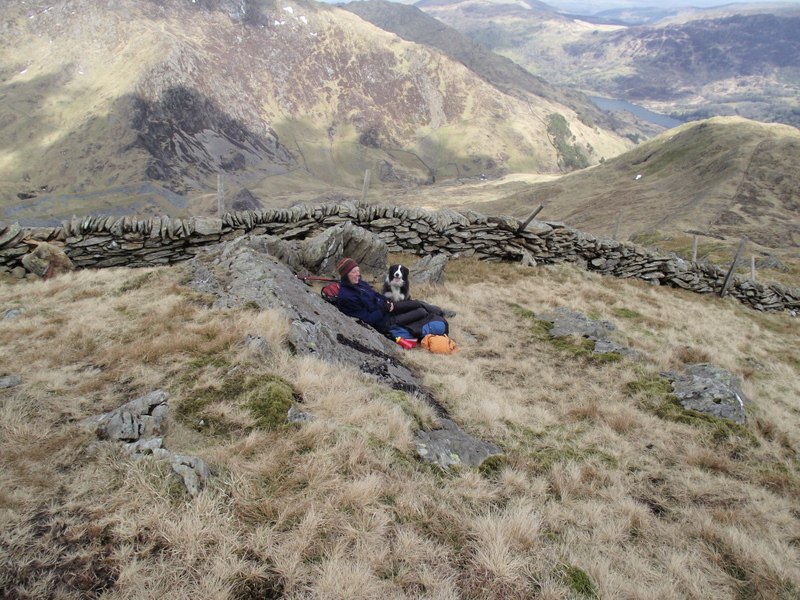 Chris was having a lazy day, so I had dropped her off just below the summit. My ten minutes to the summit and back hadn’t included time for photos, so I was back a little later than I had estimated. Light conditions made some of the photos less interesting than they might have been, but they are probably good enough to encourage others to visit the top. Still in search of a meal! 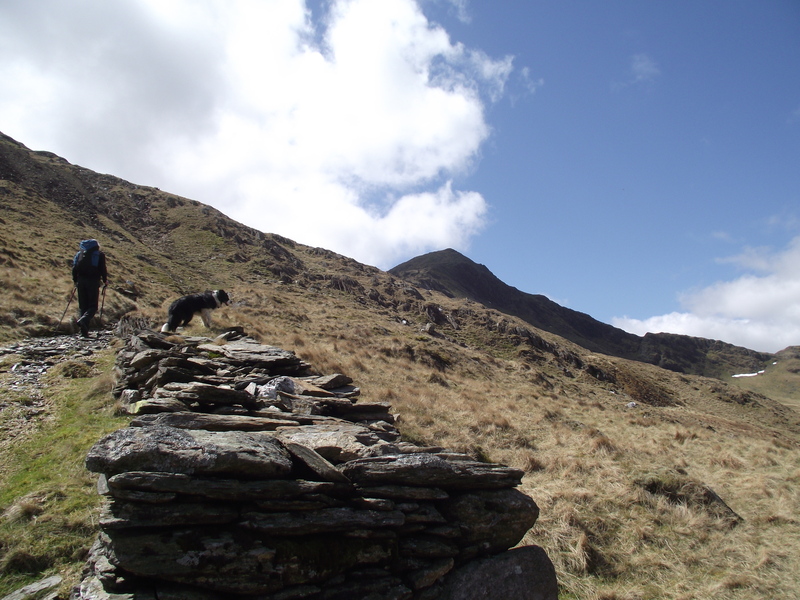 Our descent route was down the North Ridge, to hit the path in Cwm Llan. 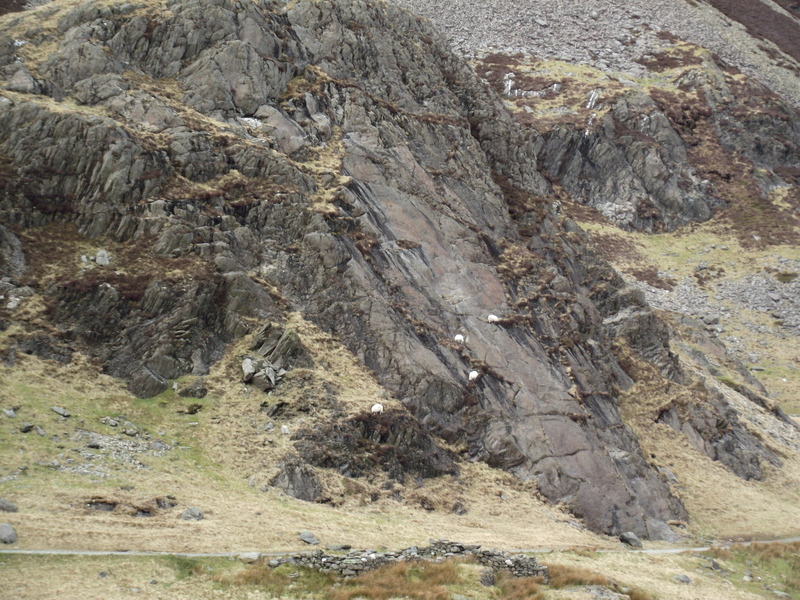 Before re-joining the Watkin Path for the return we saw three ‘death defying’ sheep snatching a meal on the small climbers’ crag near the Gladstone Rock – the grazing must have been good, as a fourth soon joined them for a snack. We left them to it and didn’t hear any sounds of disaster as we returned down the Khyber Pass lookalike. This entry was posted in 5. 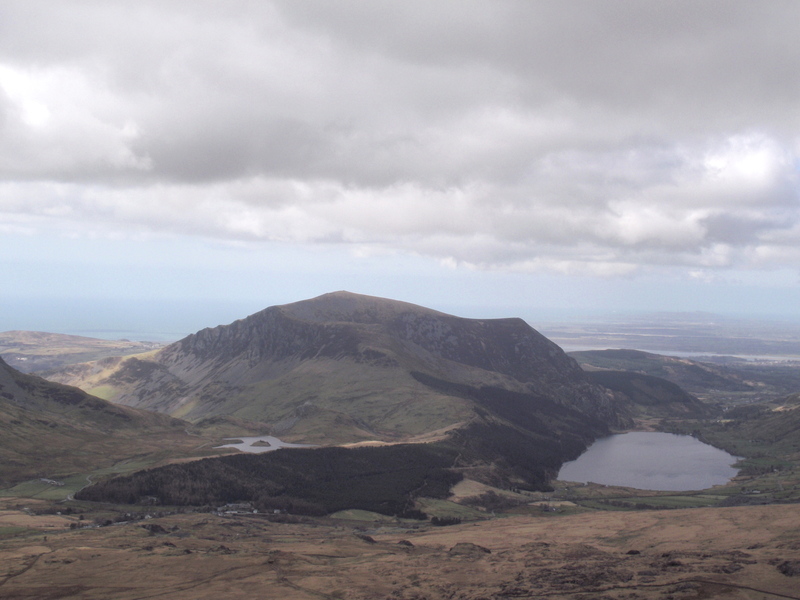 North Wales and tagged hillwalking, mountains, Nantlle Ridge, photography, Snowdonia, Yr Aran, Yr Wyddfa. Bookmark the permalink. Super looking day. 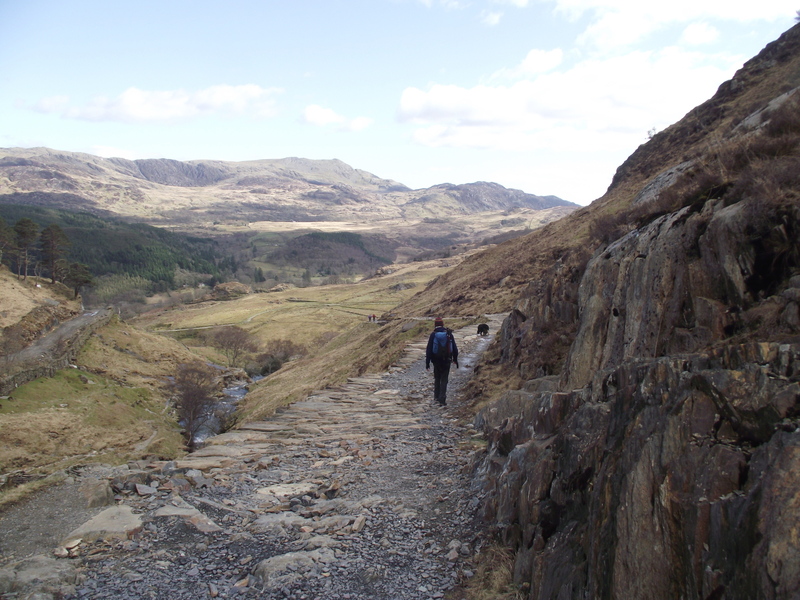 Funnily enough, I’ve never been up Yr Aran – have always bypassed it for Snowdon! And I remember Carry On Up The Khyber, too! 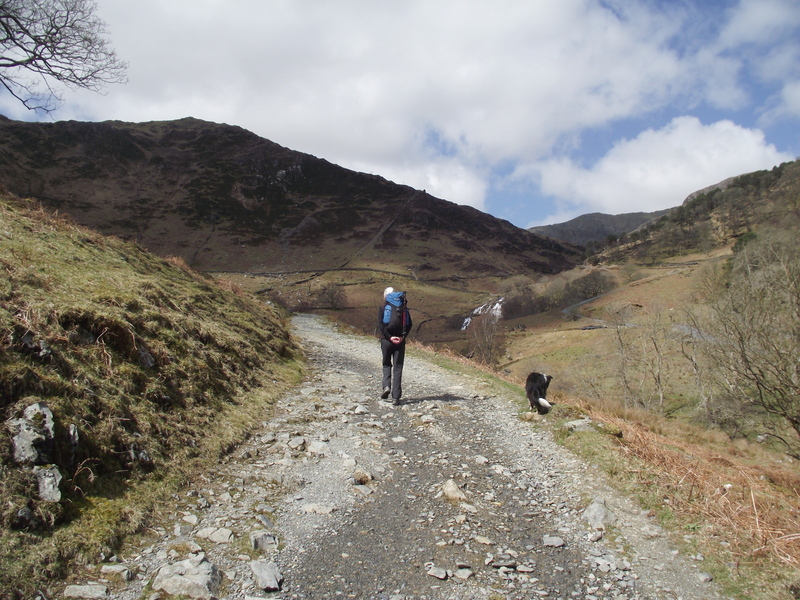 It’s worth the detour Chrissie, if only for the views – it also makes a great half day, perhaps for a summer evening. 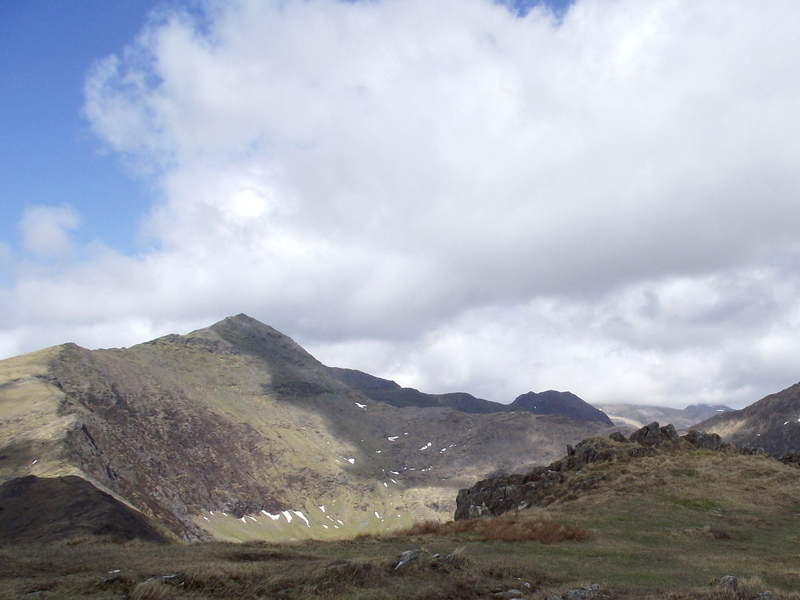 It’s a long time since I was on this peak – it’s certainly well placed for a grandstand view of many of the other summits in the southern half of Snowdonia. 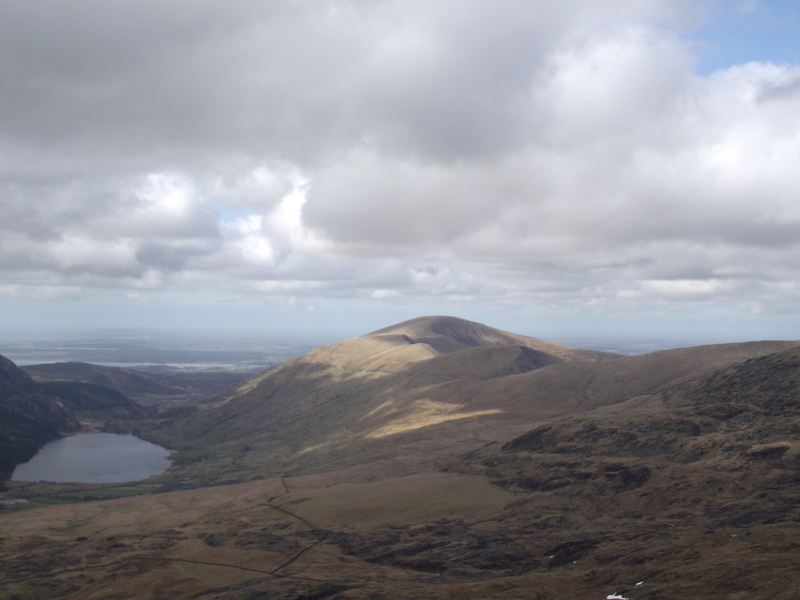 I was hoping to walk it later this year from Rhyd Ddu and carry on to Snowdon and then back to Rhyd Ddu. That would mean a detour from the standard path according to the map but I am well used to the concept of path on map not matching path on ground and vice versa. Hope you get good weather for the trip Andy. 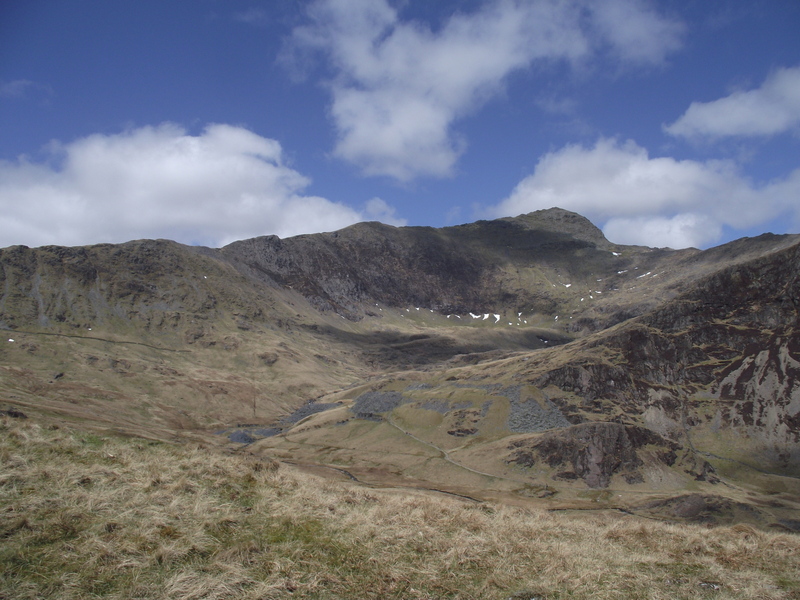 Your planned route is a good way of including Yr Aran in a longer day – some include Yr Aran as an alternative to the Watkin Path to Yr Wyddfa summit. 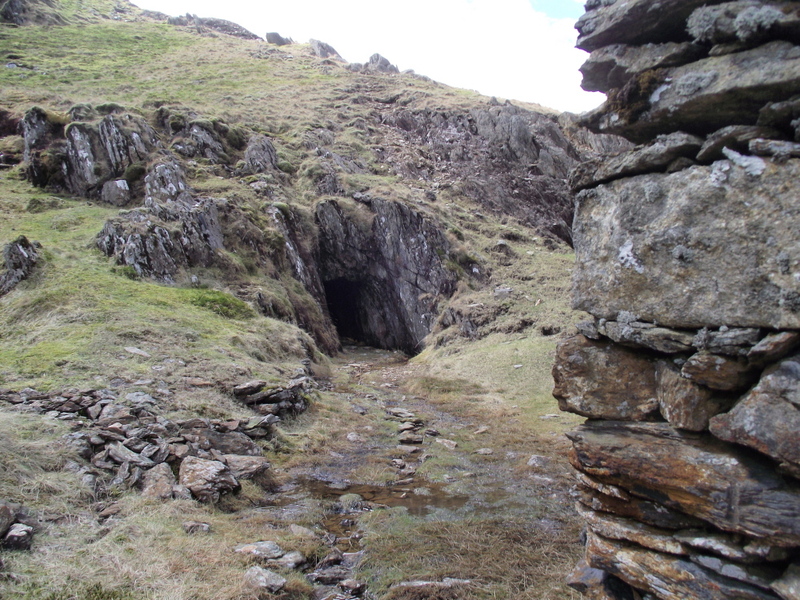 Looks a great walk Paul…did you go in the mine? Now that would have been a sight! I love hiking any and every where. Thrilled to have found your blog. Great post and am really enjoying it. Thanks. 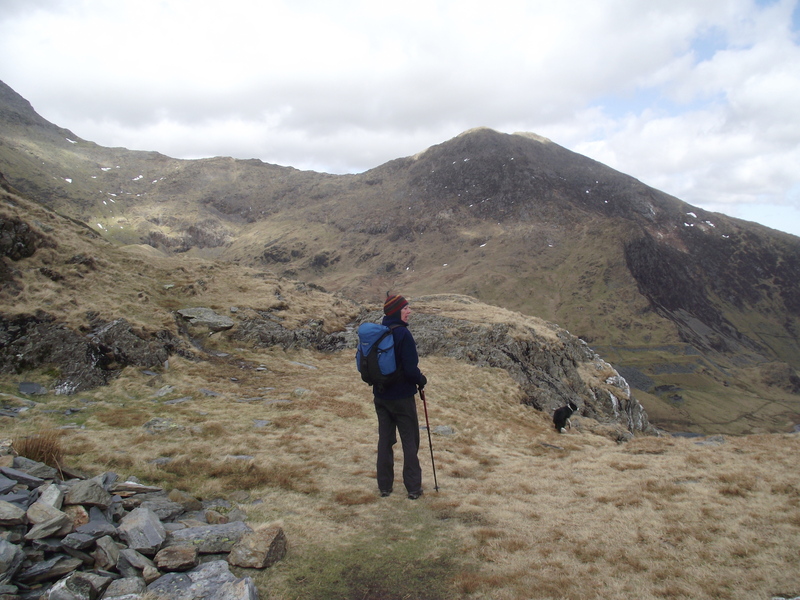 I quite often do Yr Aran as I usually use the western approaches to Snowdon and often add it on at the end. It’s a lovely little peak. 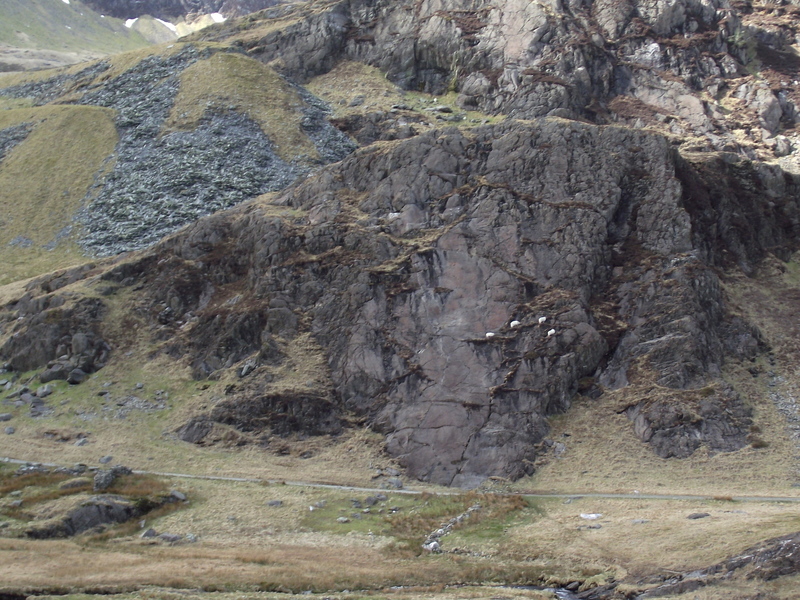 Gladstone’s Rock looks quite interesting for beginner’s rock climbing – might persuade someone from my club at Nant Peris to take me up it sometime. 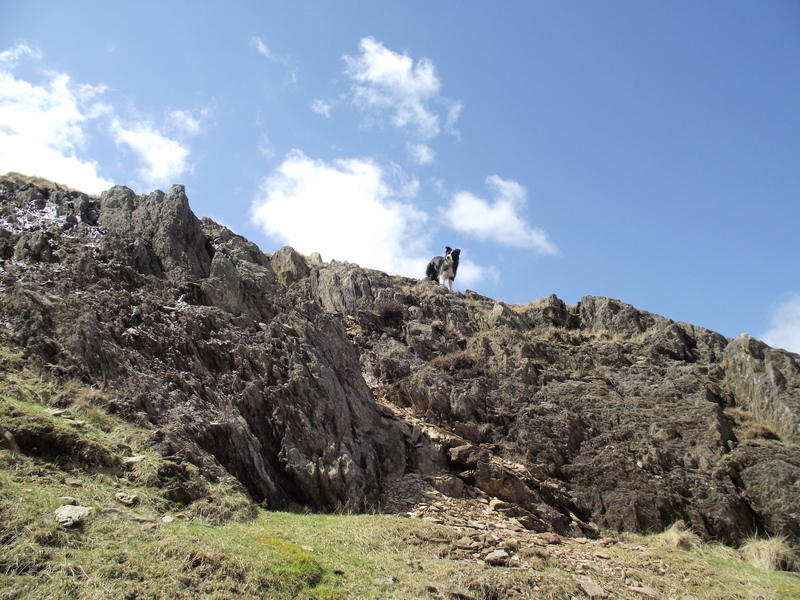 Sheep always scare the hell out of me on crags! 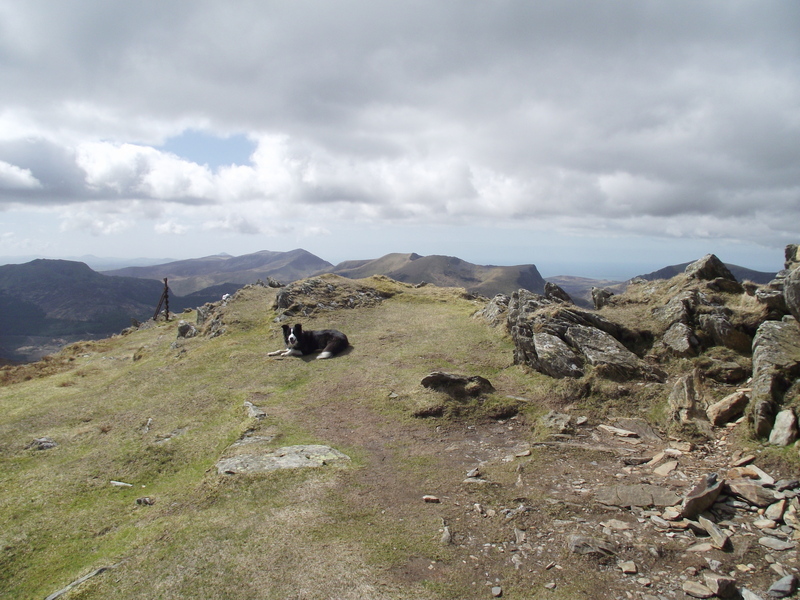 Thanks Colin – yes, it’s a great walk out and one that I don’t I would ever get bored with. 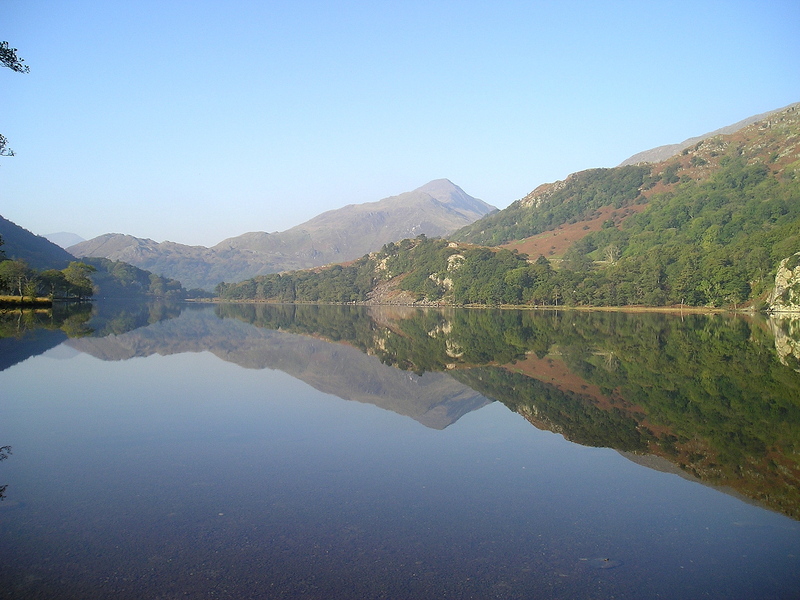 It’s great to have peace and quiet, and to get away from the crowds!